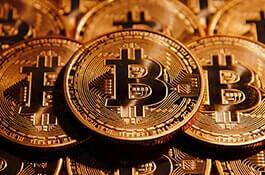 Bitcoin has gained so much popularity in the cyber world. With its anonymity, convenience, and security, this digital crypto-currency has been recognized as “the future of virtual currencies.” However, there is more to this digital currency than meets the eye; if you are about to explore Bitcoin, there are a few things you should know. As such, you should take time to inform yourself before you take a plunge into the fascinating world of bitcoins. What is Bitcoin, and why all the fuss? For those who are curious and are asking, “What is Bitcoin?”, Bitcoin is the first decentralized, peer-to-peer payment network that is backed by its users with no central authority. From a user perspective, this digital currency is pretty much like cash for the Internet. The former has been introduced to the world in 2009 by a mysterious pseudonymous developer named Satoshi Nakamoto. Satoshi then left the project in 2010 without revealing much about himself. Since then, the community has grown exponentially with many developers working on the software. Today, more and more online stores are accepting bitcoin as a payment for their service. What makes this online currency more interesting is that you can purchase goods without having to share your personal information. There’s no mechanism that can be used to trace a bitcoin transaction back to the buyer or seller. The currency’s anonymous characteristic makes it very popular among privacy-concerned users around the world. From a user perspective, bitcoin is nothing more than a computer program or mobile app that provides a personal bitcoin wallet and allows the user to send and receive bitcoins with them. But there’s more to it than meets the eye. The network is using a public ledger called the “block chain.” The latter contains every transaction processed; and since it is a peer-to-peer network, anyone can access the ledger and verify the validity of each transaction. There are two ways, either to have it for free or buy it. Surely, you would select the first option. However, if you opted for the latter, you can get your first supply of bitcoins by purchasing them at a bitcoin exchange. There are several trading markets available online; these are Mt. Gox, Coinbase, Bitstamp, Intersango, and more. If you want to know how to buy bitcoins, we will give you a helping hand. The most popular way to get bitcoins is through mining. But then, it is a must to keep in mind that this process is as hard as mining for real gold. Furthermore, mining requires massive computing power for the bitcoin software to work. The more processing power you can provide, the greater chance you have for successful mining. Anyone can become a miner if they want to. All you need to do is download the software from the bitcoin network and provide enough computing power for it to work properly. If you can successfully solve the next block, the reward is all yours. Aside from mining, another popular method of gaining more Bitcoins is through affiliate marketing. 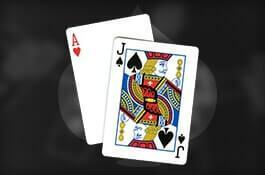 Bitcoin Blackjack affiliates only need to promote a certain blackjack site or a Bitcoin casino, sign up for these affiliate programs, and gain as much Bitcoins from the effort of your promotions. What can I do with my Bitcoin? With so many establishments and online services accepting bitcoin as a payment for their service, you will be spoilt for choice. 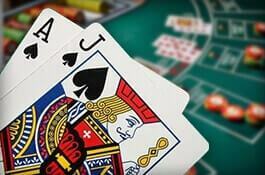 However, if you are looking for “superior entertainment,” then try your hand with bitcoin-powered casino games like Blackjack. It’s easy to learn how to play with Bitcoins. When you play Bitcoin Blackjack, you will sure have an ultimate gambling experience topped with convenience and security. 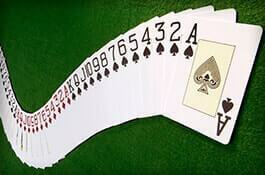 A lot of enjoyment awaits you when you play Bitcoin Blackjack. All you have to do is learn the basics, get some tips and strategies to maximize your winning potential.